“In my last few posts before we left Isla Mujeres to make our run down to the beautiful island of La Providencia, some of you may recall that I mentioned a final thread holding us to shore. And some of you may recall that I mentioned not to have stuff shipped to Mexico. Well, we did have something shipped. A reverse osmosis water maker. 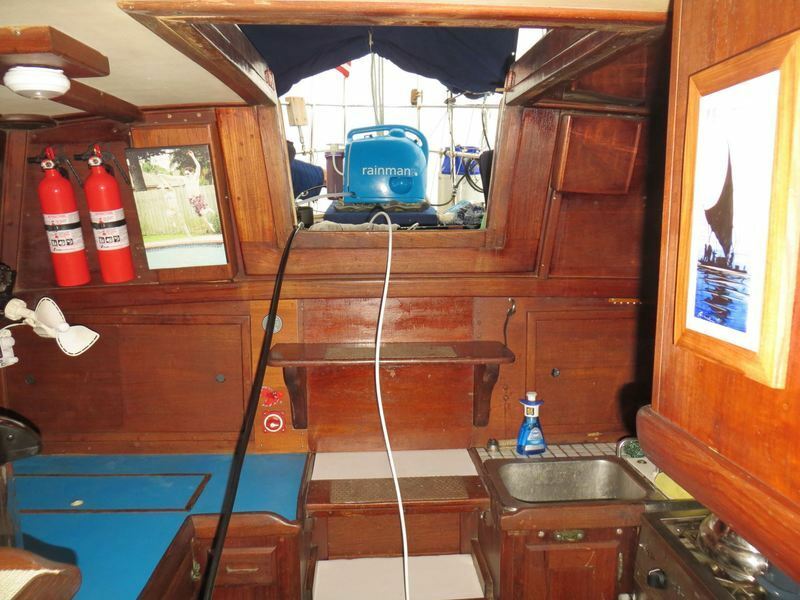 Water makers are a significant expense and I had long debated about getting one but didn’t like them because there wasn’t really any good place on board Sundowner for me to mount all the parts and plumbing and I didn’t want to have it in the bilge or the engine room. Tough. We figured that we’d jerry jug it. But as we got closer and closer to time to head to San Blas, that niggling fear in the back of my mind was catching up with me. 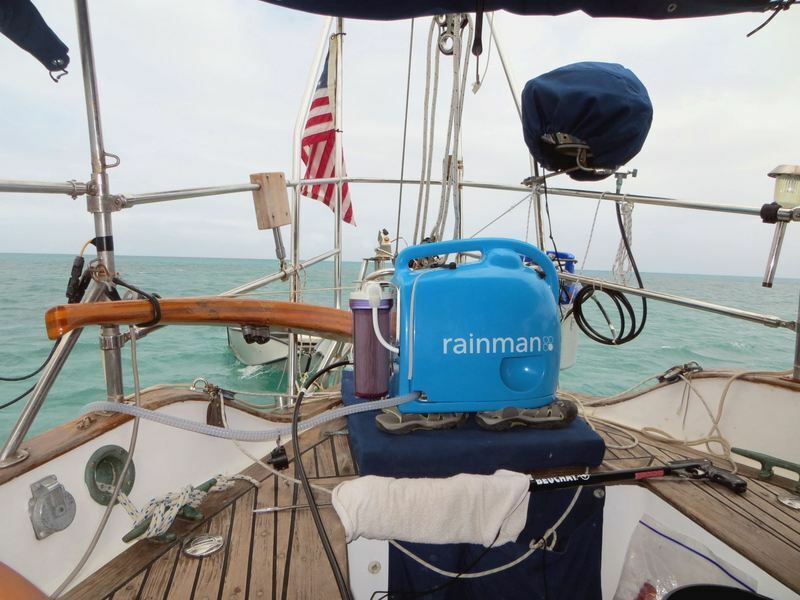 Enter the scene, Rainman, a water maker that doesn’t have to be “installed”, instead, you can just use the component parts on deck and stow away when under way or not in use. It was exactly what I’d been looking for. 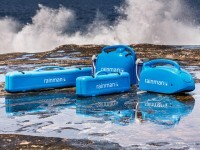 Something high capacity and something stow-able and easily service-able. So we called up Rainman, got the prices and ordered the unit. Enter Mexican Authorities…. Dani went to GREAT lengths, being the research ferret that she is, to prepare all the paper work for the water maker to be tax free and parts for a yacht in transit. The rub came in when the package was addressed to a marina that agreed to let us ship to them as a land address instead of Dani’s name on the package. At first they wanted us to pay taxes. We filed papers saying we didn’t have to. Then they said the names were wrong and we’d have to do this or that. Then they said they’d abandon the package in customs. Then we tried to pay the taxes and they said we couldn’t even do that! Dani was practically in tears and I was pulling my hair out.